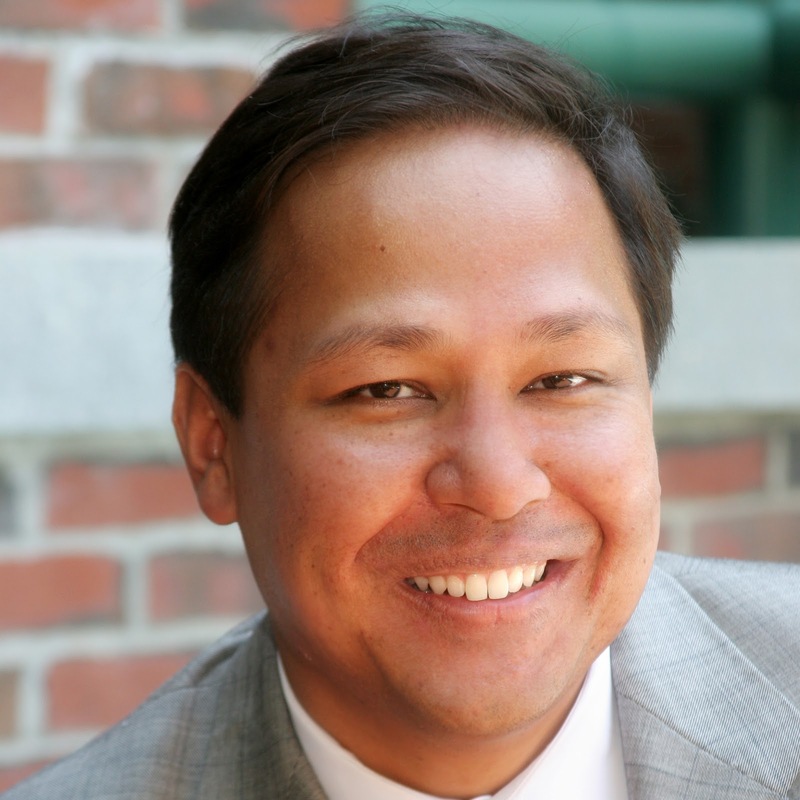 Author, Harvard Biz blogger, frequent Bloomberg contributor & expert on pricing strategy. You encounter Good-Better-Best strategies in your everyday life. Which credit card, car wash, or cable subscription option do you choose: Good, Better, or Best? In this win-win strategy, customers choose the price that is right for them while companies benefit from higher profits and growth. “Best” profits from high-end customers who are willing to pay a premium, while “Good” generates growth by attracting price-sensitive customers. Rafi’s speech highlights the profit upside and psychological benefits from using Good-Better-Best. Your audience will leave this talk enthused and ready to implement Good-Better-Best at their organization. Companies incorporate a variety of principles into their culture such as overall mission, excellence, how to treat colleagues, and customer pledges. But surprisingly, most companies drop the ball on emphasizing one of their most important goals: “we need to make profit.” Rafi highlights the key principles and steps necessary to create a culture focused on profiting from the value of your products and services. How confident are you that your organization’s pricing strategy generates the highest profit? At most companies, prices are set using “that’s the way that we’ve always done it” formulas and seat-of-the-pants instinct. The result is businesses of all sizes, from start-ups to the Fortune 100, leave money on the table. Rafi expands the concept of pricing beyond a simple two-lever “up or down” mechanism to focus on creative strategies that better serve customers and reap higher profits. His speech is filled with humor and an unwavering focus on providing insights that can be implemented on Sunday evening. Rafi Mohammed has been working on pricing issues for the last 25 years. He is the founder of Culture of Profit, a Cambridge, Massachusetts-based company that consults with businesses to help develop and improve their pricing strategy. He also holds the title of Batten Fellow at the University of Virginia's Darden Graduate School of Business (in residence, Spring 2001). A frequent commentator on pricing issues to the print media, Rafi has also made prime time appearances on Bloomberg TV, CNBC, MSNBC, Fox Business News, and the Canadian Broadcast Corporation as an expert pricing commentator. He is a regular contributor on pricing issues to the Harvard Business Review. 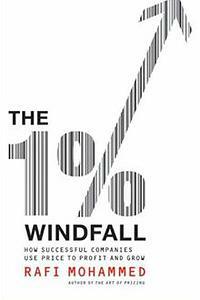 Rafi is the author of The 1% Windfall: How Successful Companies Use Price to Profit and Grow (HarperCollins, March 2010), which provides a blueprint for managers to create a comprehensive pricing strategy. His first pricing strategy book, The Art of Pricing (Crown Business, October 2005), has been translated into seven foreign languages. His article on setting prices during an economic recovery titled "Ditch the Discounts" was published in the January/February 2011 print edition of the Harvard Business Review. Rafi's doctoral dissertation focused on bundling, one of the most popular yet least understood pricing tactics. He developed a new theoretical bundling model and presented the first empirical test on the profitability of bundling using data from the rock concert industry. This research was published in the Rand Journal of Economics, a leading academic economics journal. Rafi has also worked on pricing issues at the FCC during the telecommunications deregulation and Monitor Group. 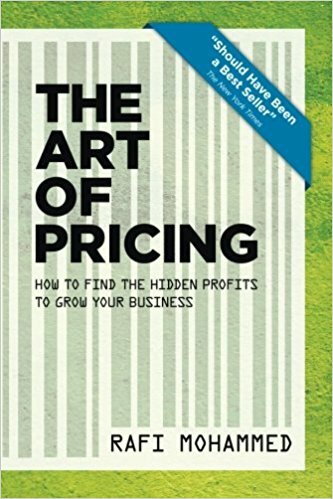 In 2017, Rafi released an updated version of The Art of Pricing. Rafi was born in Milwaukee and raised in Cincinnati. He is an economics graduate of Boston University, the London School of Economics & Political Science, and Cornell University (Ph.D.).